John Randolph Smith, “J.R.”, has over 41 years of extensive experience as a general practice attorney. As a founding partner of Smith, Barden & Wells, PC, he practices family, real estate, business, bankruptcy, wills and estates, civil and personal injury law. 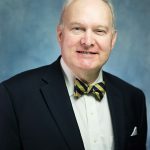 He also serves as a Commissioner in Chancery for the Circuit Court of the Chesterfield County. J. R. attended Virginia Polytechnic Institute and State University (B.S.) and was a member of the Corps of Cadets. He obtained his law degree from Marshall-Wythe School of Law at the College of William & Mary (J.D.). He served in U.S. Army as an Artillery Officer after being commissioned at the time of graduation at Virginia Tech. For approximately one year he was a legal assistance officer in the JAGC. A Chesterfield County resident, J.R. is a member of the Virginia State Bar and Chesterfield County Bar Associations. He has been active with the Boy Scouts of America in leadership positions and is currently a supporter of the Scouts. He has been married for 32 years and he has two adult sons, Scott and David.